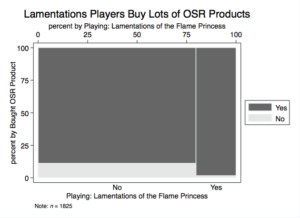 Those most likely to buy OSR products, Lamentations of the Flame Princess players, were no more likely to blog or create OSR products themselves. Just based on examination, there seems to be some clustering of B/X D&D, Swords & Wizardry, Labyrinth Lord, and B/X Essentials, probably due to the high similarity of these rulesets. These three questions represent, in some ways, a hierarchy of effort, or engagement with, tabletop roleplaying as a hobby. It is easier to buy than to blog and easier to blog than to create more finished products. To examine the association between playing various games and the three outcome variables, I ran pairwise tetrachoric correlations. 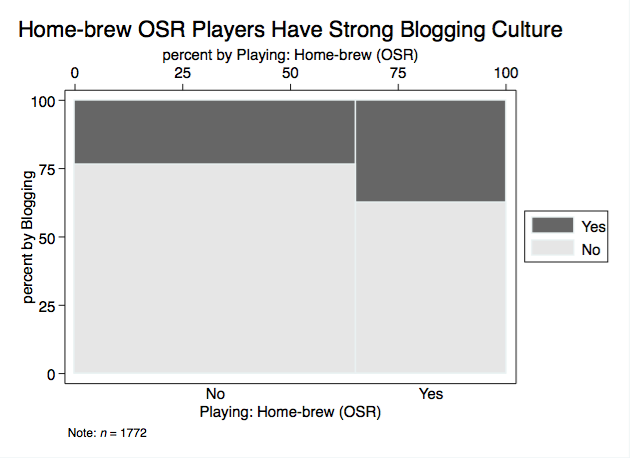 The following table shows associations between playing particular games and having bought an OSR product. Read the “rho” column as strength of association, ranging from -1 (for perfect negative correlation) to 1 (for perfect correlation). (Rho is the tetrachoric equivalent to a Pearson product-moment correlation.) You may notice, looking at the two mosaic plots, that substantively the difference seems small. 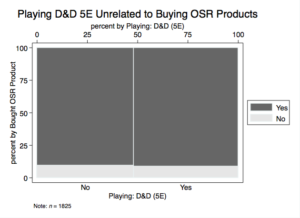 This is likely partly due to artificially constrained variance—recall that 91% of respondents reported having bought an OSR product. The buying measure was yes/no, so was unable to distinguish between people who buy a little and people who buy a lot, so I suggest interpreting the following statistics mostly as directional trends. The same goes for the other two measures, though the pattern is starker for blogging, where the measure was able to capture more variation. Who is most likely to buy OSR products? Playing Vampire was the only significant negative association. 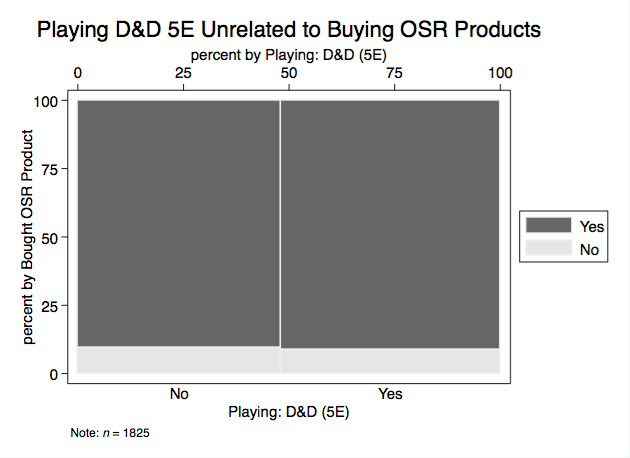 Playing other games had no association with having bought an OSR product. The upshot of all this is that Lamentations of the Flame Princess players were most likely to have bought OSR products. 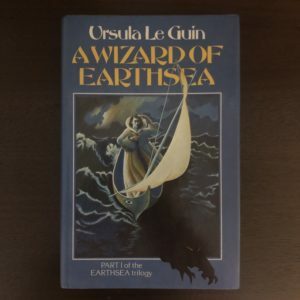 Curiously, Dungeon World surfaces here again, perhaps because OSR products can easily inform Dungeon World games in terms of themes and content even if other aspects of the games differ. The n here is constrained by people that answered the buy question. Who is most likely to blog? Who is most likely to create products? Note that the blogging question was general rather than OSR-specific. 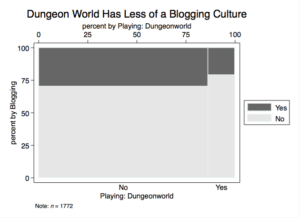 You can find the full list of games that I asked about in the OSR Games post, along with the number or respondents that reported playing each game. There was also a free-response other option to capture any games I missed; there were no standouts in that item. The number of pairwise hypothesis tests I ran for this post may seem high—21 games × 3 outcomes = 63—but the chance that most of these results came from chance alone is vanishingly small. One would expect approximately 3 spurious correlations at the .05 level, assuming no relationships exist in reality (3 ~= 5% of 63). As you can see, there were many more associations than 3 in this data, and with significance values that would be highly unlikely to see from chance alone, despite the relatively insensitive binary measures. This entry was posted in Community and tagged survey on March 28, 2019 by Necropraxis. 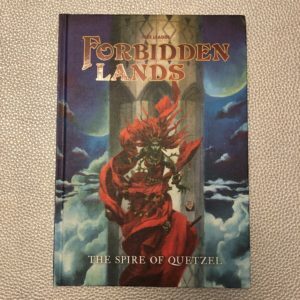 The Spire of Quetzel is a collection of four adventure sites: The Spire of Quetzel (by Patrick Stuart), The Bright Vault (by Chris McDowall), The Hexenwald (by Ben Milton), and Graveyard of Thunder (by Karl Stjernberg) written for the game Forbidden Lands, which bills itself as retro open-world survival fantasy. I take this to mean something similar to the hexcrawl or west marches play styles. In these play styles, stocking the wilderness with sites to explore is a (perhaps the) central responsibility of the referee. This will likely be familiar to DIY/OSR/classic gamers, where dropping modules onto a campaign map is common practice. 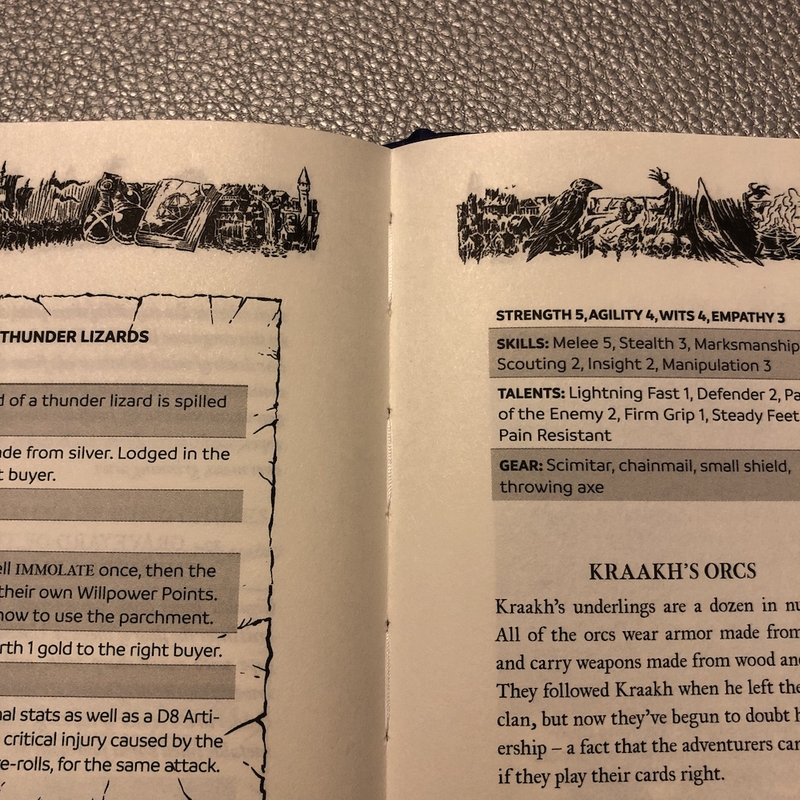 Below, I will first discuss the physical book and then consider the adventure sites contained within, both as modules for Forbidden Lands and for potential use with OSR games. (As shorthand, I refer to each entry using the title’s first noun (Spire, Vault, and so forth). In sum, the book as artifact is excellent; I have no complaints. All four entries are distinctive, creative, and clearly created with an eye to actual play at the table, especially compared to other offerings of modular adventure content. Further, the scope of adventure sites as suggested by Forbidden Lands is highly functional for the kind of exploration-focused game I like to run. Despite this, the trend for successful OSR products seems to be moving away from this level of modest complexity, toward the magnum opus. The physical book is gorgeous and feels well-made. The cover material has a texture that reminds me of painter’s canvas, but slightly thinner. The binding is stitched. I find the interior style attractive, all in high-contrast black and white, with a crisp and restrained aesthetic. Fantasy references are vanilla-adjacent, but with a fairy tale sensibility, closer to Warhammer’s Old World—but with less Renaissance—than to mainstream D&D. The layout is superficially pleasing but is weakened by often failing to keep related content on a single spread. One of the major advances in adventure layout I have seen over the past few years is organizing sub maps and map keys all within the same spread—for layout examples in this mode, see the Lamentations products Forgive Us and Cursed Chateau. Using spreads and excerpt-fragments would improve the usability of all the sites included. This is a difference between good and great, however; as is, the information design is okay but nothing special. The presentation of each site uses what feels like a system-mandated template, which includes, in order: elevator pitch, background, legend, rumors, locations (this is basically the map key), monsters (or NPCs), and events. Using a template in this way involves a tradeoff. On the one hand, it guides referees (or supplement writers) toward table-relevant content (legends, rumors, events, and so forth). According to the Gamemaster’s Guide (p. 6), players are supposed to learn about the setting through play at the table. No homework! Score one point for the template. On the other hand, following the format strictly feels occasionally like a straight-jacket in practice, especially when entities are referenced prior to being introduced or described. The individual entries are short enough—less than 20 pages each—that the necessary page flipping remains manageable, but the process of initially learning about the sites as a referee is more disorienting than it needs to be. 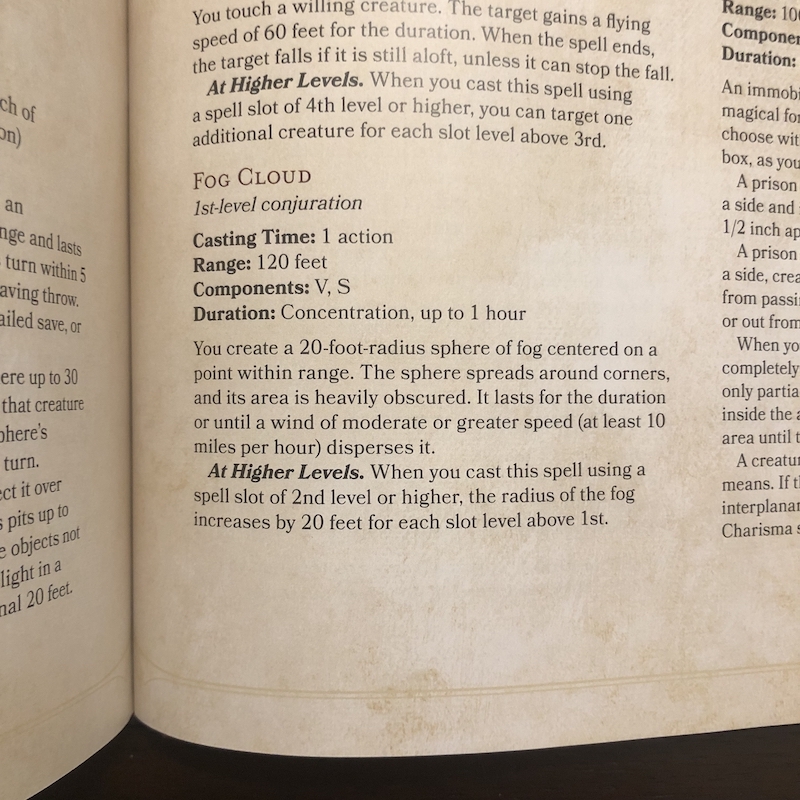 Forbidden Lands uses its own system, which is different enough from TSR D&D that converting actual numbers directly on the fly looks to be impractical. 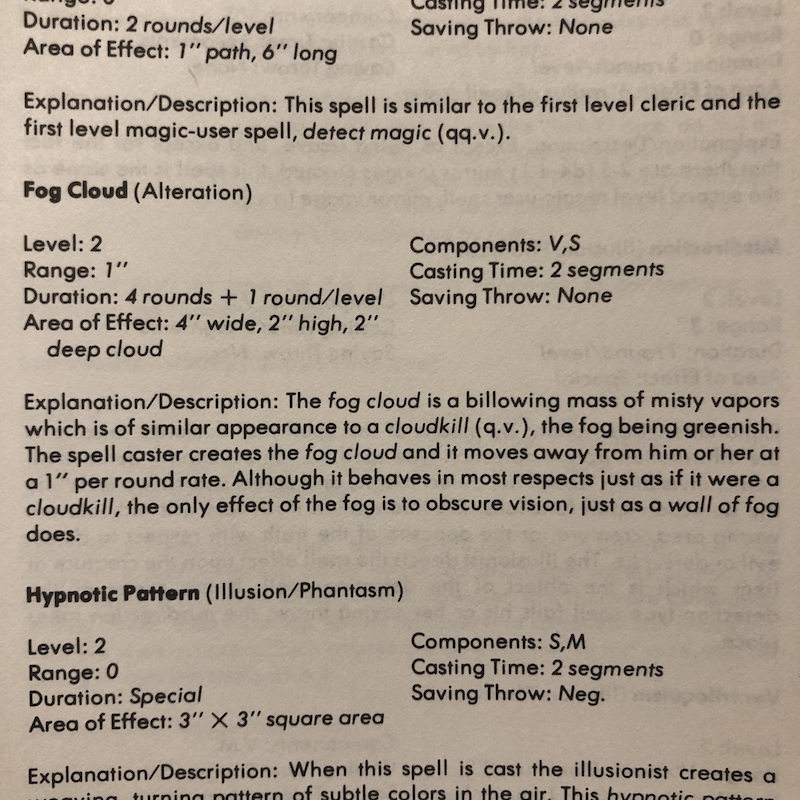 OSR/classic game referees will need to either A) be comfortable making up stats based on the descriptions or B) spend preparation time figuring out how to convert numbers more formally. I would personally be fine with A) and avoid B) as a waste of time, but take this into consideration based on your own referee style. 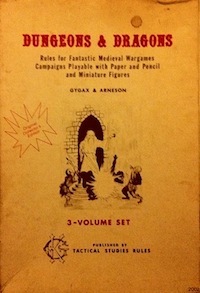 The challenges presented are compatible with OSR type games. If you use XP = GP rules, you will probably need to add some value here and there. Forbidden Lands organizes adventure site into three categories: castles, dungeons, and villages. The four included here are listed as castle (Spire), dungeon (Vault), village (Hexenwald), and dungeon (Graveyard), but the actual entries correspond only loosely to these types, with Graveyard being most conventional of the four. Spire is more a nightmare romp through a collection of situated vignettes than an architecture that can be explored. Early on, Spire presents its legend as a Spencerian stanza, which gives some foreshadowing for the style of what is to come. Rather than spatial or geographic maps, the areas are loosely connected spaces of feeling or emotion, which lends a sense of immateriality, at least from the perspective of the referee. The areas are striking and distinct enough that they carry it, but be prepared to improvise the layout of elements such as a maze or a nightmarish “city of black spars” on your own as required. The meat of the site is several set-piece encounters, all of which are compelling. Also, it has a boss fight, so if you want to see what a boss fight by Patrick looks like, this is the adventure for you. The Bright Vault is a prison for several demons. While it could be run as a simple dungeon heist, there is potential for more by playing the demons and their captor off against each other. This entry could have used some reorganization. Perhaps a solid orienting paragraph would have been enough. As is, using Vault requires a lot of bouncing around to figure out what is going on. For example, one of the major NPCs, regularly referenced throughout, is only described at the very end of the site. Like all the entries, Vault is short—18 pages including the art—so this is only a small inconvenience. The demons themselves, and the resulting situation, involve one of the stronger organizing themes of the four entries, though I think it may also require the strongest referee skills to juggle and roleplay the social interactions of the various entities. Hexenwald is listed as a village, and could play the role of shelter from the wilderness, but really describes the homes of several related witches. Well developed locations such as this are underrepresented in modules despite having high utility for adding seasoning to a hexcrawl. The particular format of a Forbidden Lands site feels somewhat constraining here. I think it might be better served by some sort of more graphical relationship map layout, or some way to easily review the goals of the various witches without needing to reread the character descriptions again. If I end up using Hexenwald, I will probably add some countdown clocks for several of the listed events to increase the dynamism of the location and how it interfaces with the rest of the setting. 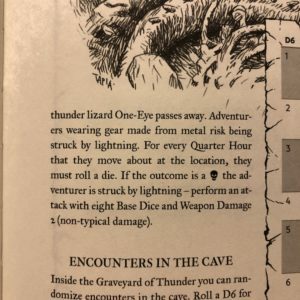 Graveyard of Thunder is a dungeon in the middle of a dinosaur graveyard. 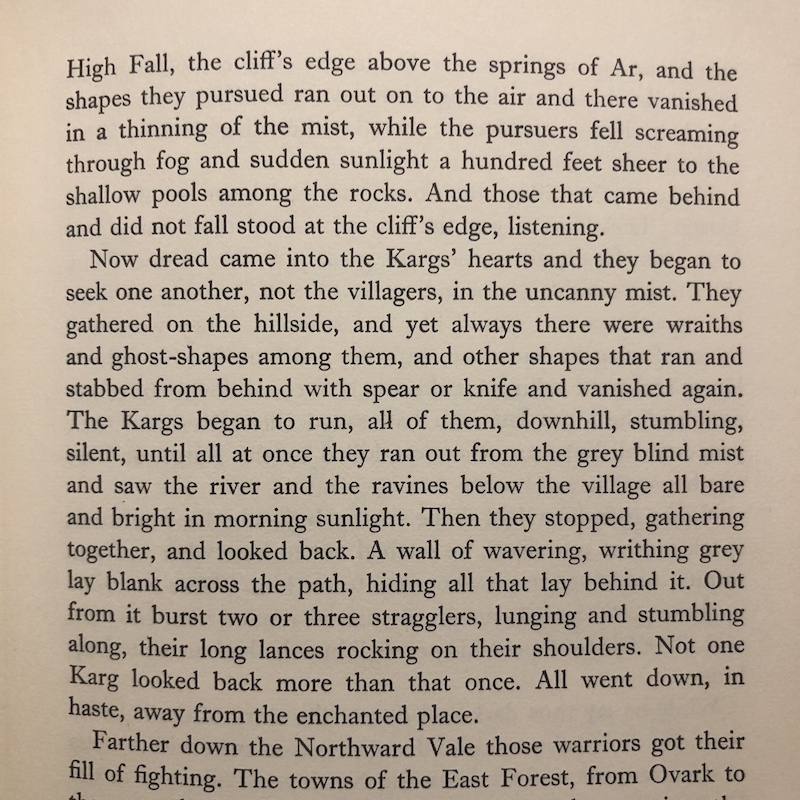 In some ways, it is the most traditional adventure site in the book, with a subterranean complex and several factions of humanoid creatures struggling for dominance. 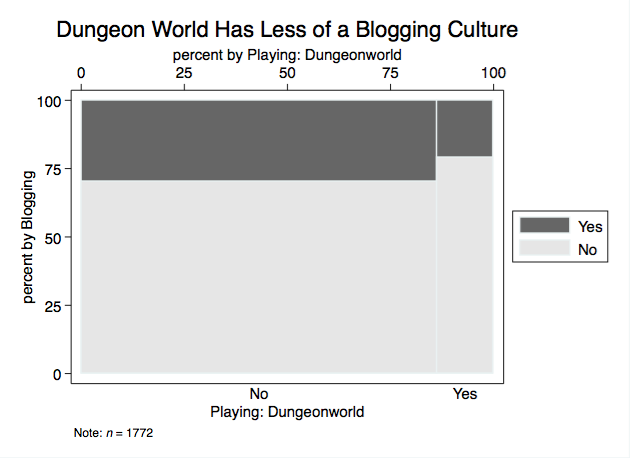 It could be played as a simple dungeon delve or involve more complex social posturing and diplomacy. The challenges and hazards are well designed to support creative play. There are also a number of evocative flourishes—I appreciate the wind chimes chamber—that remain grounded rather than dialing everything to eleven. If I had to make one criticism of the site design, apart from the layout and organization issues I already mentioned several times above, it is that the map mostly remains anchored to the horizontal plane, and a dungeon involving dinosaurs and caves might benefit from more verticality. 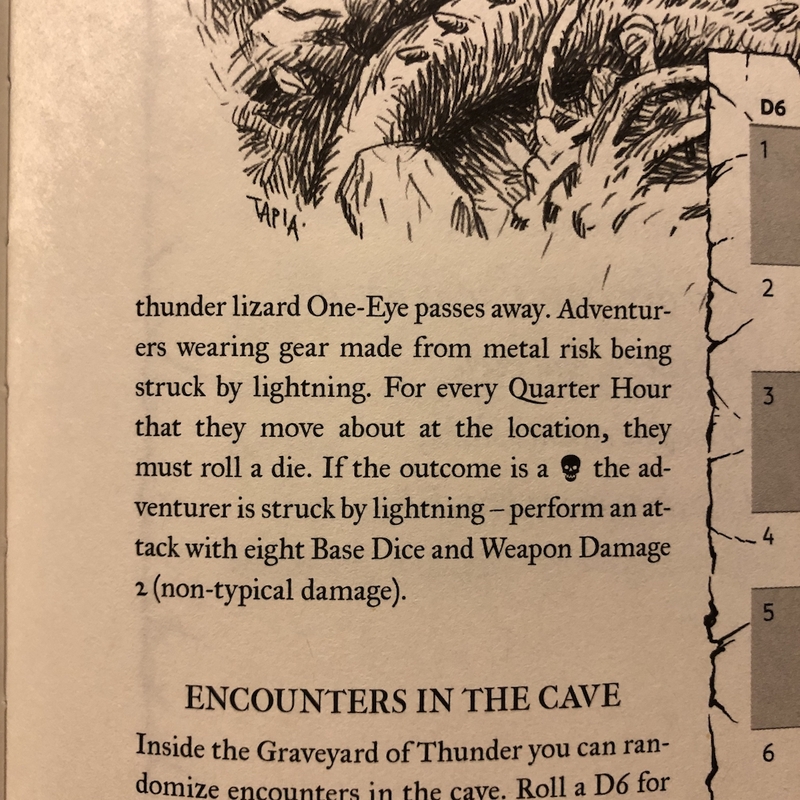 I wrote most of this post a while back, but just ran The Bright Vault today in person for a pickup game, to kick the tires on Black Hack 2E. Really, in my head I situated all four adventure sites, but the players’ approach took them to Vault, so that is what hit the table. It ran well in practice, though the layout does require substantial page flipping, as I suspected. 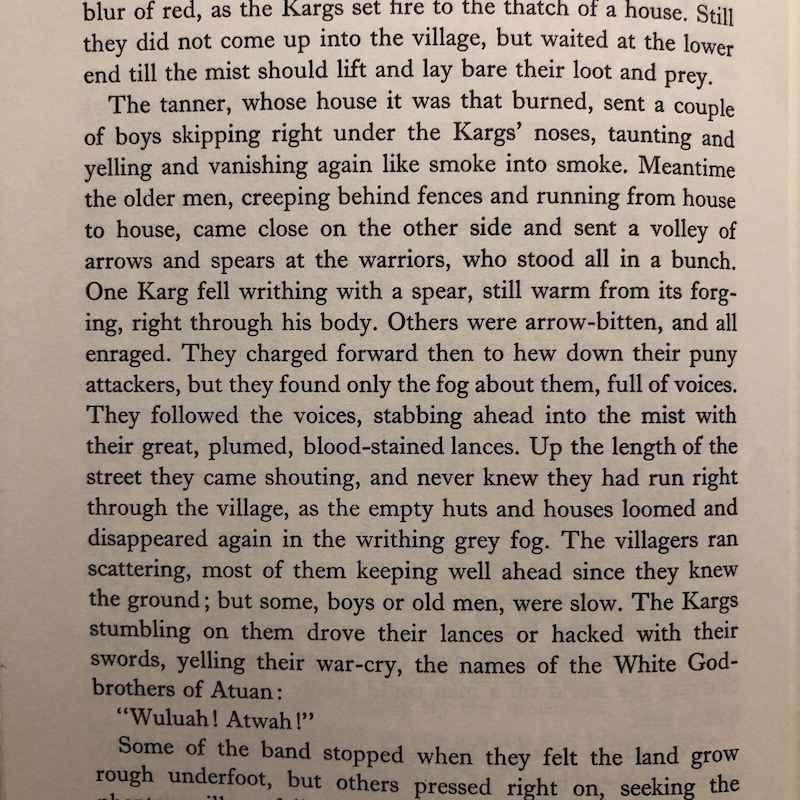 One of my players correctly guessed the author based only on the play experience and the clue that it was written by an OSR author that he was at least somewhat familiar with. The scope of these adventure sites—which is also the scope advocated for by Forbidden Lands generally—is perfect for OSR content. This scope demands of a writer more elaboration and detail than something like a one page dungeon while respecting the referee’s time. In contrast, the current mandates of commerce seem to be summoning ever greater, more baroque endeavors. I think it is inescapable that commercial pressure has led to an inflation of ambitiousness and page count over time. As a bibliophile, I can attest to liking attractive, substantial, hardcover books with solid, stitched bindings. And according to James Raggi, retailers like books with spines. It would be hard to market adventure sites like this individually as physical products, apart from as zines, which seem in practice to have some commercial ceiling. Spire gets away with presenting sites of this scope by being a compilation and also by riding on the coattails of a successful crowd funding venture for a deluxe format core game boxed set. This recent inflationary trend has a different character than the simple pressures of payment by word, which bloat an essentially simple, boring thing until it reaches some commercially appropriate extent. In contrast to the bloat problems of yesteryear, newer material tends to be higher quality, both in terms of ideas and in terms of production values, due to community advances in techniques and the proliferation of new social media platforms. Though there are counterexamples, such as Witchburner, the trend seems strongly to be that the market is rewarding more ambitious projects, with larger scope. This might be good for publishers and creators, and perhaps for the cause of game materials as art, but I am unconvinced that a shelf full of monumental works best serves the practical need of referees. This is a long-winded way of restating appreciation for the scope of the entries in Spire. I think the most useful tools for hexcrawls—and maybe megadungeons too, which can be well served by modular presentation—are probably closer in size to Forbidden Lands adventure sites than to the currently proliferating larger works. In terms of RPG publishing, Spire is also notable for, in Ben’s words, being the first time a non-OSR book has intentionally hired an all-OSR writing team. The Spire of Quetzel was part of a bundle that also included the main Forbidden Lands Boxed Set, the Raven’s Purge campaign book, dice, cards, and PDFs of everything. See here for my approach to reviews and why I share this purchase info. You can buy the fancy hardcover version here and the PDF version here. The main product line page is here. 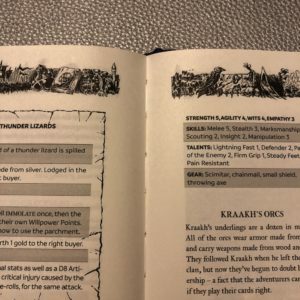 This entry was posted in Reviews and tagged Forbidden Lands on March 17, 2019 by Necropraxis. James of Mythic Fantasy takes aim at the doctrine of combat as fail state. I agree with the sentiment, especially contra the strong position that getting into combat always indicates poor playing. That said, combat can be tedious and boring, particularly if repetitious or lacking distinct circumstances. 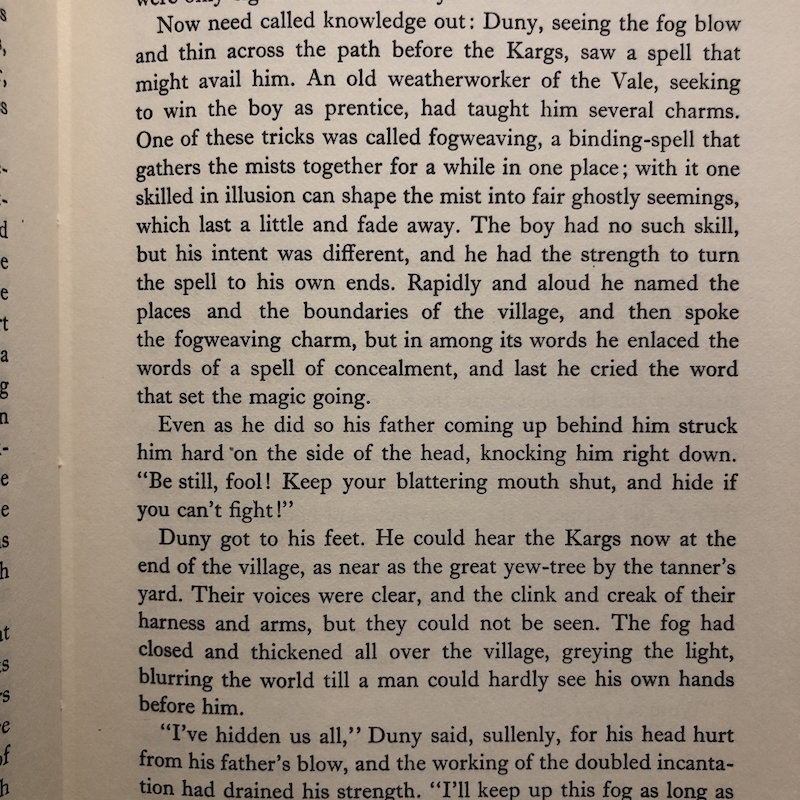 The D&D equivalent: showdown against 30-300 bandits with a fog spell and some tactics. Also: remember to use morale rules. This entry was posted in Uncategorized and tagged combat on March 3, 2019 by Necropraxis.